SP Financial Management was purchased by Gary Lockett in 2007, who was a client of the firm. Gary is now CEO and Adrian Clayfield was appointed as Managing Director. Under the strategic direction of Gary and Adrian, SP Financial Management implemented a number of changes to ensure and protect the future financial strength of the company and In 2011 the firm moved their head office from Southend-on-Sea to Rayleigh (approximately 8 miles from Chelmsford). For more information on Independent Financial Advisers (IFA) advice in the Wickford area, please give us a call for a free initial consultation. 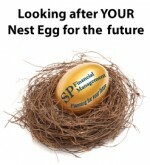 At SP Financial Management we look at things differently and take a holistic approach. This means we look at everything which constitutes your financial life. What we do is listen to you, understand where you are now in your life plan, where you want to be and how you want to continue living your life. We can show you how much wealth you will need to accumulate in order to achieve the lifestyle you want. We can help you plan your life’s journey and show you how you can enjoy it because life isn’t a rehearsal and no one wants to struggle now in order to have a good time in the future, when in reality it may never come. In the same way it’s not prudent to live for today without thinking about the future. Who wants to have to cut back on their lifestyle at just the time when you want to enjoy it? SP Financial Management has attained the Chartered Insurance Institute’s gold standard of Chartered Financial Planners status. All our advisers are committed to continuing their professional education and knowledge. SP Financial Management subscribes to the Core Values and Business Practices of the Chartered Insurance Institute and is governed by a Code of Ethics. SP Financial Management Ltd is registered in England & Wales no. 04022324. | SP Financial Management Ltd is authorised and regulated by the Financial Conduct Authority no. 171137. | The guidance and/or advice contained in this website is subject to UK regulatory regime and is therefore restricted to consumers based in the UK. Our clients value the service we provide and often recommend us to others, however, if you wish to make a complaint, please contact us. If we cannot settle your complaint, you may be entitled to refer it to the Financial Ombudsman Service (FOS). The FOS is an agency for arbitrating on unresolved complaints between regulated firms and their clients. Full details of the FOS is available from their website at www.financial-ombudsman.org.uk.